Caryn Caldwell (Homepage) wrote: Oh, wow! This looks like something out of a sci fi/fantasy film! It's rather otherworldly, and very interesting. Ian (Homepage) wrote: Very, very cool. Like an Independence Day-style cloud passing through frame, very cinematic. Well done. Guido (Homepage) wrote: Tra la precedente e questa, preferisco questa con i colori, i quali danno + calore alla scena. Bellissime le tue foto ed i tuoi soggetti! Calusarus (Homepage) wrote: Very nice in colors ! tom (Homepage) wrote: Love the blurred clouds. Nacho Carreras (Homepage) wrote: Preciosa imagen, impactante. Saludos. f/1,2 (Homepage) wrote: This is an incredible image. Great concept and perfect execution. Terry H. (Homepage) wrote: Very dream like! Love the single tree! Excellent! Alex (Homepage) wrote: Me gusta mucho esa nube, que parece ser absorvida por el viento. Saludos. Andrés (Homepage) wrote: Fantastic wide angle, colors and subject. I take my hat off for you. Marie (Homepage) wrote: superbe composition, avec cet arbre suel dans ce magnifique paysage. 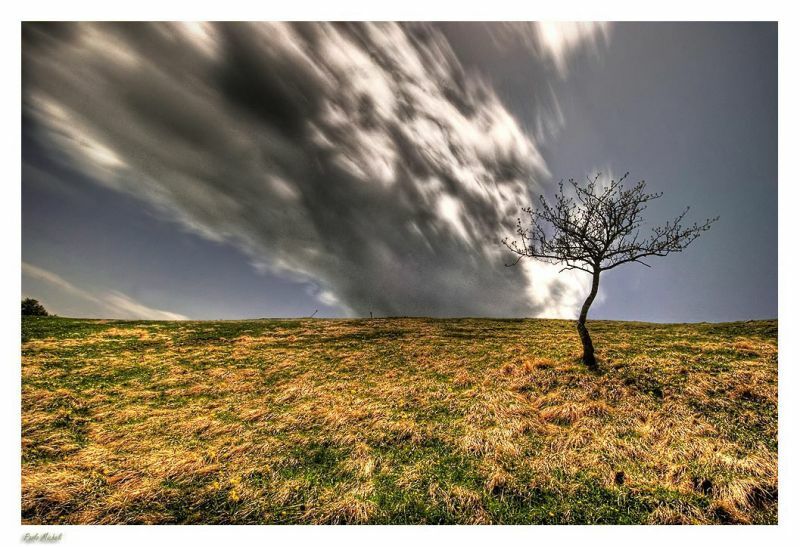 grant (Homepage) wrote: amazing image - that cloud has the feel of a freight train. Turnbill (Homepage) wrote: Nicely animated! Frida (Homepage) wrote: Excellent capture. A great sense of movement and the lonely tree is spot on. Sarito (Homepage) wrote: Excellent image.. you have captured the moving clouds beautifully. Andy (Homepage) wrote: Wow Paolo incredible photo! Love the isolation of the lone tree. Sidney (Homepage) wrote: Looks like something paranormal is happening. Quite scary! Sophie Asselin (Homepage) wrote: Very nice photographie. Great composition. Mike (Homepage) wrote: Wonderful shot. Crazy sky, great ground color and silhouette! beanow (Homepage) wrote: Graet... The colour adds dynamics to this pictorial. Lovely of the image! Arnd (Homepage) wrote: Great sense of movement in this shot. A truly fascinating capture!